No, “RIoT” is not the “riot” literally. We are not planning to make a riot and disturb the peace in Indonesia, especially around the celebration of its 72nd Independence Day on last August 17. Long live Indonesia! 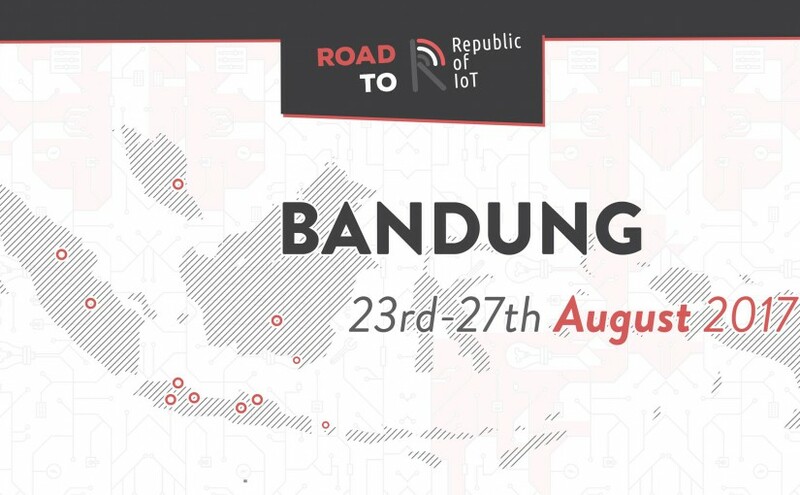 However, RIoT or Republic of IoT is indeed a “riot” to enliven the ecosystem of Internet of Things (IoT) in Indonesia. Often than not, this country needs a “riot” – literally or figuratively – to make things “heard”. IoT is still so young in Indonesia, it needs tremendous efforts to cultivate it, let alone exploit it. May RIoT be one of those efforts. But why IoT? Is the buzzword so important for the country? IoT is just an old stuff wrapped in new package, after all. Well… at least the foundations are not really new. The truth is, IoT is the convergence of several technologies that previously seemed to evolve in their respective domains – embedded systems, sensors and actuators, firmware, apps, connectivity and networks, cloud computing, machine learning, even artificial intelligence – some or all now working together to enable smarter new services or applications, more beneficial to humans. Apparently, technology-based problem solving, cannot only leverage the software or apps, but sometime needs the help of “smart” hardware and also supported by the bunch of technologies above, hence IoT. Indonesia has many problems, yet tremendous potentials, and needs comprehensive technology-based solutions. IoT may be one of the enabler technologies.